Eliminating the three countries from CAFTA or CAFTA-DR, as it’s best known, would not necessarily block them from selling goods to the United States, but they would be subject to higher tariffs that were in place before the 2005 agreement was signed. The fact that the United States is turning its sights on the Central America agreement is not necessarily a surprise. Since President Donald Trump announced plans to rework NAFTA, leaders across the Western hemisphere expected the administration would eventually turn its attention to their agreements and apply similar changes. NAFTA served as a template to the rest of the 11 free trade agreements in Latin America. Nicaragua, El Salvador and the Dominican Republic are also countries that have found themselves recently in Trump’s crosshairs. 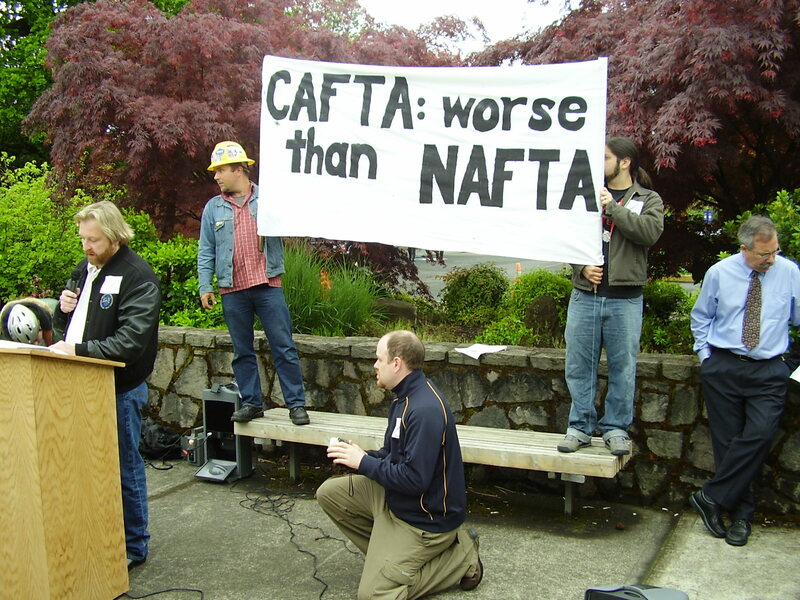 CAFTA was never just about trade. When Congress ratified the agreement, President George W. Bush declared it as a way for the United States support democracy and economic reform after years of civil war and communist insurgencies. The concern with El Salvador and the Dominican Republic is whether their positions in CAFTA has given China backdoor access to United States markets. The administration sees China’s signature Belt and Road Initiative, the global lending program, as a debt trap fueling greater economic dependency. The administration clearly sent a signal with the revised NAFTA about its intentions for China. One of the perhaps most significant, but lesser-known elements of the new United States-Mexico-Canada Agreement, is a small section of the text that allows the United States to pull out of the USMCA if one country pursues a separate free trade agreement with a “nonmarket country,” which is largely seen as a warning against pursuing separate free trade agreements with China. The administration still has many difficult discussions to make. Officials must find a mechanism to eliminate Nicaragua and the Dominican Republic from the agreement. There is no specific democracy clause in the agreement. “No one could fathom there would be such a breakdown in the signature countries,” said José Cárdenas, who served in the National Security Council under George W. Bush and regularly speaks with Trump administration officials. Miller sees no easy mechanism to kick out the three countries out, but said it can be done. One way, he said would be for officials to suspend them based on national security concerns. “A national security lens is becoming this administration new favorite justification for anything dealing with Latin America,” Miller said. Cárdenas said the administration must also be careful that any changes impact the government leaders and not the citizens who they largely want to protect.